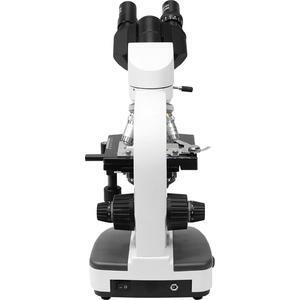 When looking for a capable microscope, one expects good optics plus precision mechanics. Both are here combined in one instrument with the Omegon BinoView. This makes it the first choice for serious use in schools, higher education and even for commercial applications. 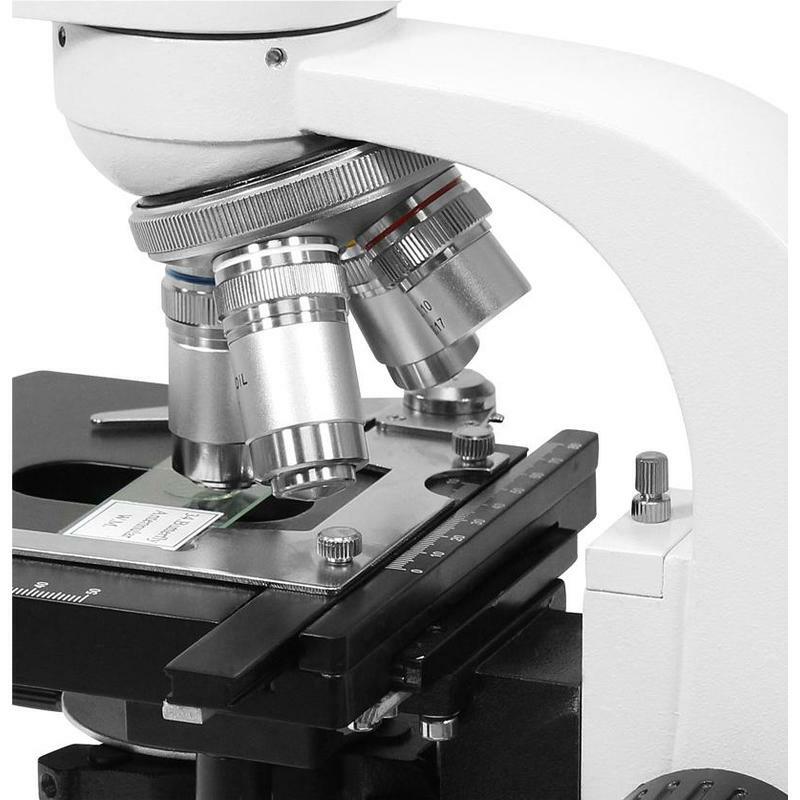 But it is also of interest for amateur researchers and amateur microscopists. This microscope is used in many educational institutions. Experience and research always begins on a small scale ... and then grows. 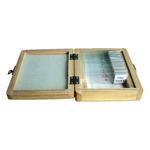 The large stage, approximately 130x130mm, holds your slides squarely and securely in place via a spring clip. The fine position adjustment knobs and Vernier scale allow you to position objects as required, and you can make adjustments while simultaneously looking through the microscope. Enjoy a bird's eye view of the 'landscape' of a muscle fibre or the fine detail of a mosquito wing. The Omegon Binoview microscope comes equipped with a huge range of possible magnifications - between 40X and 1000X. Use the objective lens turret for rapidly changing up to the next higher magnification. Three of the four objective lenses are spring-loaded to help prevent damage if you should inadvertently touch the specimen slide with them. The Binoview has an oil-immersion lens for 1000X magnification. Using the oil supplied provides bright, high-contrast observing. For a completely relaxed observing you need to be able to use both eyes. This will always let you enjoy your observing for longer and in more comfort. Both the interpupillary distance and dioptre compensation can, of course, be adjusted. The binocular eyepiece can also be rotated through 360°, allowing you to comfortably observe from any direction, making your observing even more convenient. 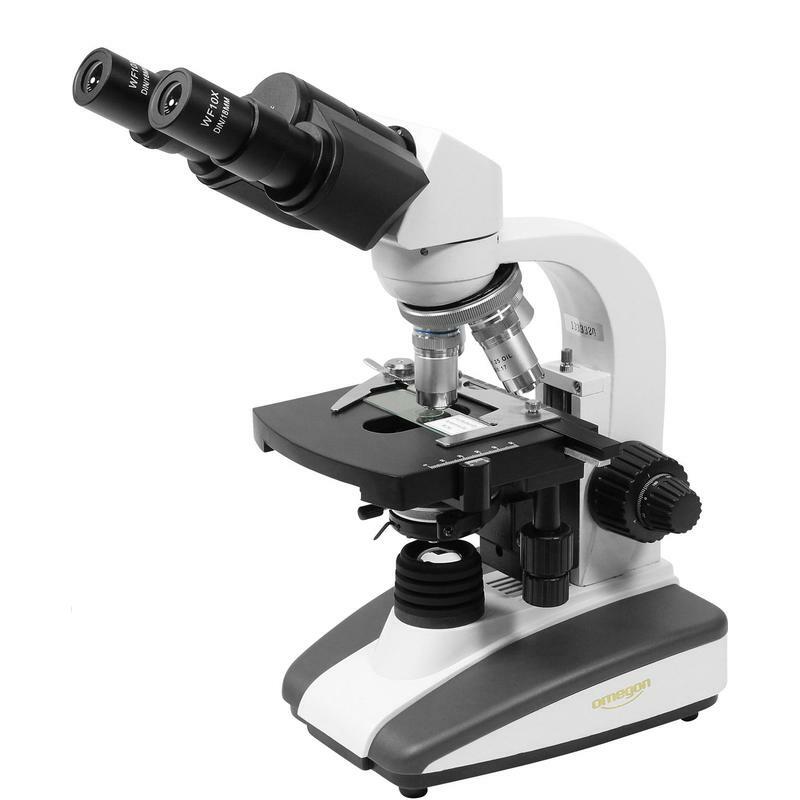 You will find coarse and fine focusing knobs on both sides of the microscope. 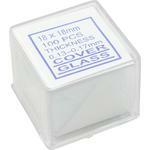 The fine adjustment knob is used for achieving sharp focus even at high magnifications. The sharpness can be adjusted down to the millimetre. The diaphragm is used to brighten or dim the view of your specimen in the eyepieces. Closing the diaphragm to give a smaller aperture will produce a tighter light beam, which can result in much more detail becoming visible, as the contrast is increased enormously. The two WF10X eyepieces provide a wide field of view. 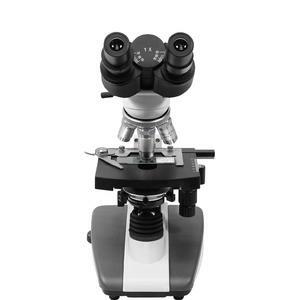 Your microscope has sophisticated and super bright LED lighting - as quite a lot of light is needed at 1000X magnification. Slides are illuminated in a neutral white light. The brightness is infinitely adjustable from settings 1-8 using the brightness control.